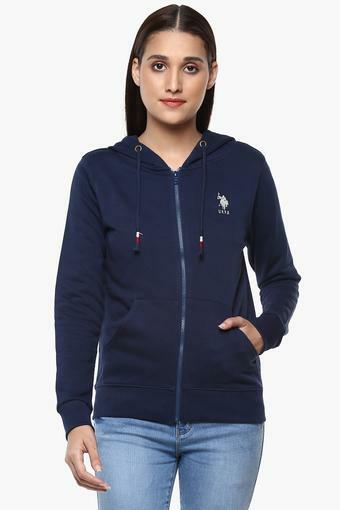 Bring home this sweatshirt from U.S. Polo and upgrade your closet. 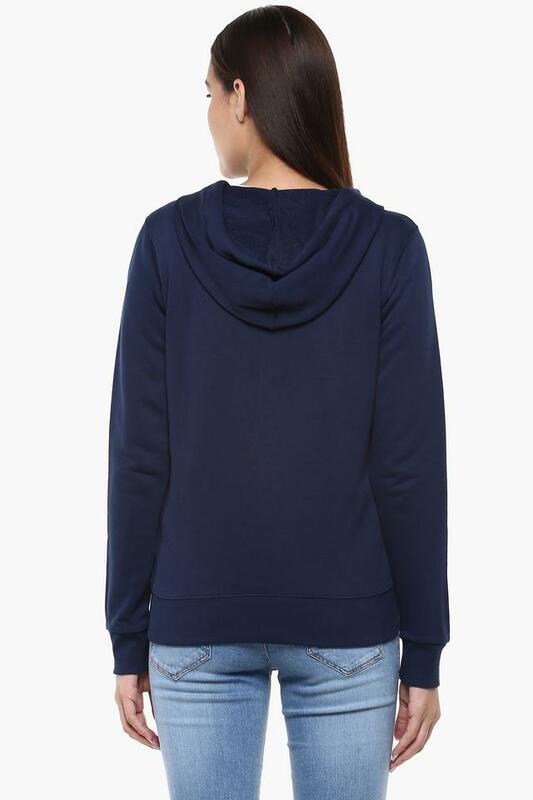 It has full sleeves, which along with the hooded neck render it trendy. Moreover, the use of a fine quality fabric promises to keep you at ease all through the day. It also has a solid pattern that adds to its look. Comfort and style go hand in hand with this sweatshirt, which has been tailored to perfection. You can team it with a pair of jeans and ballerinas while going for a casual day out. MORE Winterwear BY U.S. POLO ASSN.